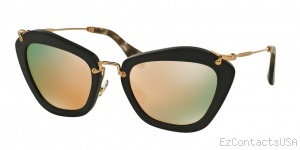 Making the high end impression with a pair of Miu Miu MU 10NS Sunglasses. Elegance and conspicuousness are combined in this updated pair of sunglasses to flatter your face. "I got the exact same eyeglasses that I tried on at Lencrafters for almost $250 less. I wasn�t sure at first about ordering from this site because I had never heard of it. Now that I know its great, I have recommended it to everyone I know. Great customer service. VERY SATISFIED , #authentic"
"Wow! I don�t know how they do it. First of all, I got the exact same RX glasses that I tried on in a mall store for $250 less. Second, the customer service was excellent. I was nervous - having never ordered from this site before - and the live chat was a great resource. I explained that my old glasses were really out of date and Erika (I think that was her name) offered to ship my glasses priority 2-day shipping at not cost to me! I got my glasses two days after talking to her. I really appreciated that extra step she took to getting me my glasses quickly. I�m really happy with the quality of the glasses: they are genuine Tory Burch, with the case and all, and the lenses are also high quality. So happy to see again! Andy stylishly too. I can�t believe how much money I saved and how nice the customer service people were. Thanks a lot. You made my month!" 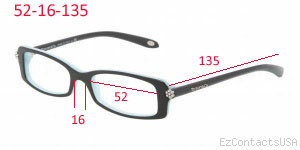 "I Ordered a pair of BE2139 blue rx glasses. Shipping was faster than expected and frames were authentic. 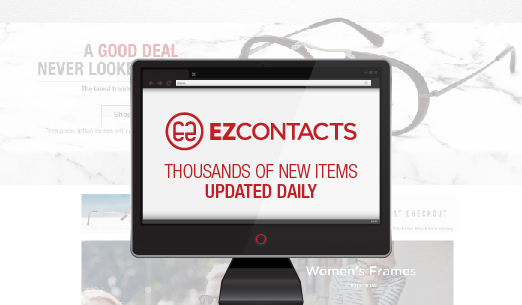 I�ve had my glasses for about a month and I�ve gotten so many compliments. I was hesitant about ordering from this site but. I�m glad I did! Ive saved over $200. "